This must be the NYPD's coolest officer. 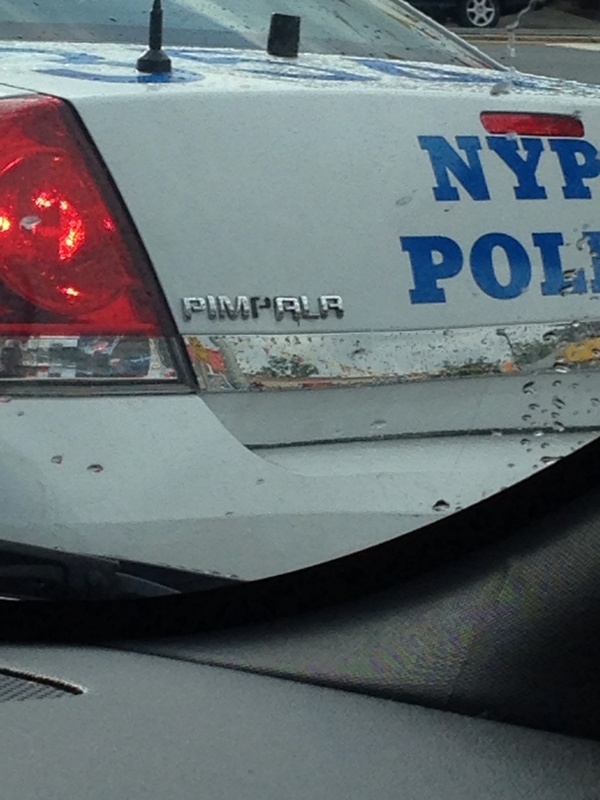 He doesn't drive an Impala - he drives a Pimpala. Redditor mgehrig spotted this police cruiser and posted the following two pictures to r/NYC 11 hours ago. 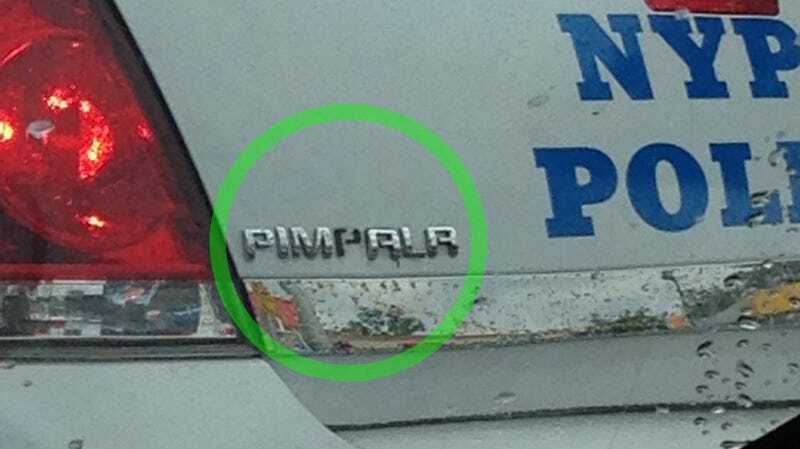 mgehrig titled the post "NYPD Officer stares me down... And I see this on his cruiser as he passes." He later added this clarification. Was taken yesterday morning in Queens at Horace Harding and Utopia Tpke. Liberal zoom from the iPhone might make it look blurry, but there's no photoshop involved. I don't know how much freedom NYPD officers have to customize their cruisers, but this modification is cool in my book.